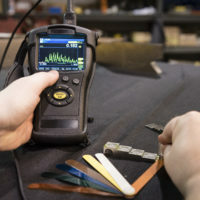 The research and development department at IR Supplies and Services applies their breadth of knowledge developing and manufacturing highly durable NDT products. Exposure is a line of highly functional, easy-to-use items that have been missing in the marketplace. IR is the exclusive sales and service representative for QSA Global – SENTINEL NDT Products for Western Canada. QSA Global specializes in supplying high quality, high-performance radiation sources used in non-destructive test devices, oil well logging, industrial processes, and medical research. With over 100 years of organizational experience, QSA-Global distinguishes themselves as leading experts in radiation source encapsulation, sealed source distribution, and turnkey services. Armorlite Technologies is at the forefront of composite construction material innovation, which is just one of the many reasons we use their products for our customized labs and mobile lab rentals. With specialized Stressed Skin Panels and proprietary extrusions, their products offer super insulation values, higher durability, and the lightest weight available on the market today. Carestream NDT provides industrial applications and safety inspection for quality-driven results. Their NDT solutions address the unique needs of aerospace, petrochemical and other industrial testing with innovative research, products and services. Their development team continually work to make sure their NDT products can perform radiographic testing anywhere in the world. Comet specializes in the development and manufacturing of metal and ceramic x-ray sources for the non-destructive examination of materials in the automotive, aviation, pipeline and steel industries. Comet products have a reputation for exceptional performance and compactness that offers customers a new realm of possibilities in the development of their end systems. LC NDT specializes in manufacturing LED portable film viewers, LED black lights, densitometers, and other quality x-ray accessories. LC NDT utilizes their mature technology to create effective, reliable and convenient equipment to use in laboratories or in the field. Labino AB is one of the world’s leading manufacturers of UV and white light products as well as alternative light sources. Their mission is to develop lamps based on your needs, to help you create a safer world and to help you see when your eyes are just not good enough. 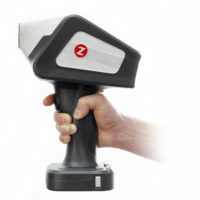 Regardless of what application you are using Lanino products for, either to solve crimes or detect defects on metal by non-destructive testing, they have a solution for your needs. Magnaflux provides leading suppliers and NDT facilities around the globe with the most comprehensive and proven line of liquid penetrant, magnetic particle materials, equipment, and accessories. All Magnaflux products undergo enhanced NDT inspection and certifications. 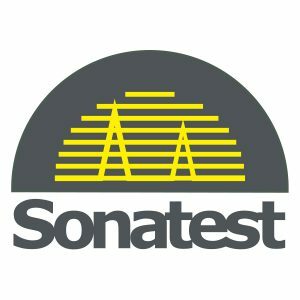 Sontatest produces and distributes high-quality ultrasonic NDT products, including portable ultrasonic NDT instruments and ultrasonic flaw detection equipment. With the clear mantra “Simplicity, Capability, and Reliability,” Sonatest successfully develops NDT products that are powerful yet easy to use, and can withstand Canada’s harshest climates. Sold directly to 116 countries, Sonatest’s innovative products are recognized globally. To learn more about our manufacturers or suggest a new brand for our online shop, please contact us.